A family run Uganda Safari company based in Jinja, Uganda. we have run safaris to different parts of the Uganda and Kenya, Tanzania and Rwanda for the last 23 years.Our speciality is Gorilla safaris as well as active safaris in Murchison Falls, Kibale Forest National Park,Queen Elizabeth, Jinja, Sabinyo Mountain, Rwenzori Mountains and other national parks in Uganda, Kenya and Tanzania. We pride ourselves in a long record of delivering exceptional service based on our personalised approach to tailoring safaris,our intimate knowledge of Uganda and our unmatched joy in showing off the beauty of Uganda to the World. 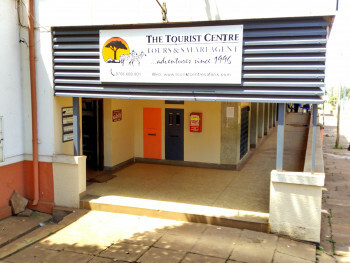 No safaris offered by The Tourist Centre on SafariBookings at the moment.